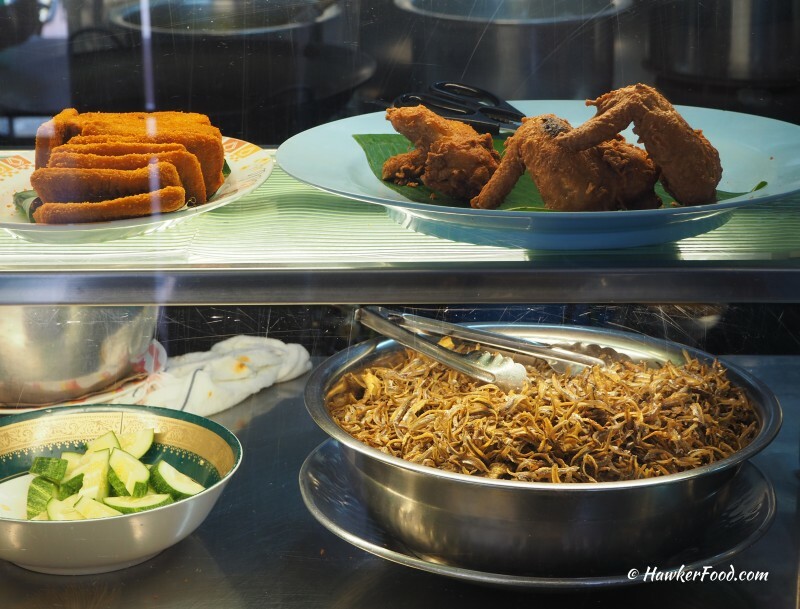 Lunchtime Scenario: You walk into a hawker centre craving for nasi lemak, and you see a few nasi lemak stalls all having long queues. 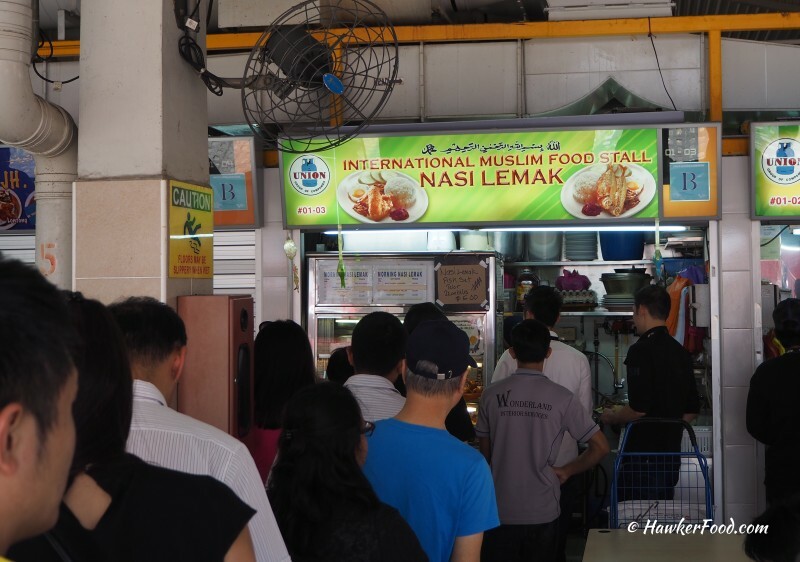 The stall is International Muslim Food Stall Nasi Lemak. When I joined the queue, it was already forming an L shape. It took a long time before I reached the front of the queue…it was such a long time that I forgot how long it was…but it felt super long. While queuing, I observed the stall owners/helpers buzzing in their work like busy bees. One was taking customers’ order, the other was frying the chicken wings and other stuff. I kept seeing new fried chicken wings replenish on the plate pictured above and disappear one by one as I “gingerly” moved up the queue. I was praying that I did not have to wait for the next batch of fried chicken wings. 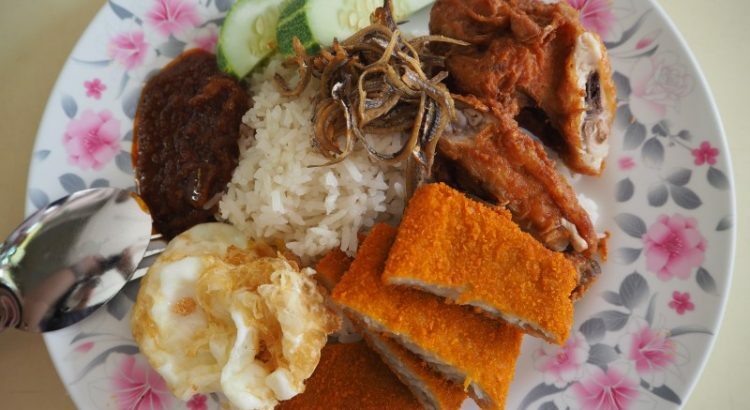 The nasi lemak set of ikan bilis, fried chicken wing and egg cost $3.50 and I top up an additional $1 for the fish fillet; bringing the cost to a grand total of $4.50 for this plate of nasi lemak. I was extremely hungry after the lengthy queuing process and started feasting on the nasi lemak. The coconut rice was very fragrant and the sambal chilli was just simply fantastic. 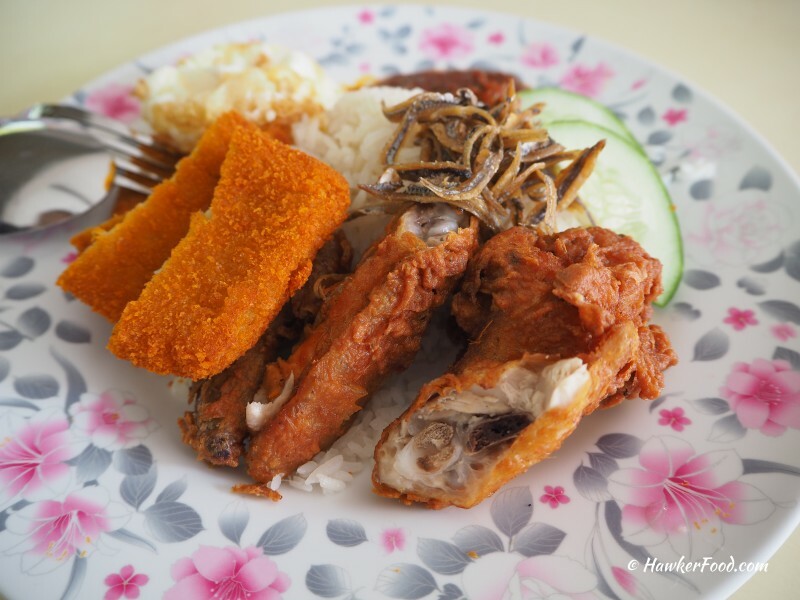 Ikan bilis was crunchy enough to exercise your teeth and the nicely battered fried chicken wing was crispy and delectable. 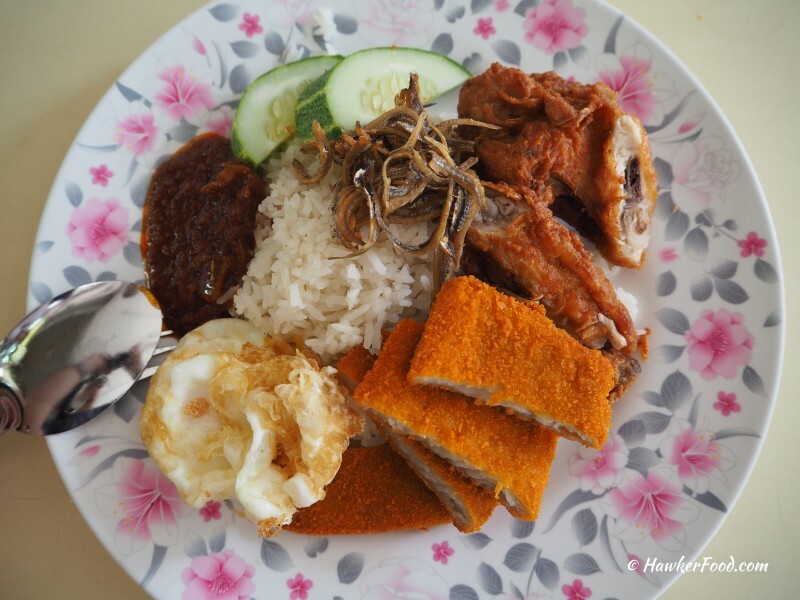 International Muslim Food Stall Nasi Lemak is a good choice for your nasi lemak fix. However, it can be time consuming to queue during lunchtime especially if you wish to have some free time to do shopping within your lunch hours. Thus, it will be better if you can visit them for an early lunch or during dinner time.